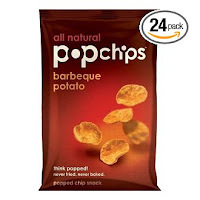 Raise your hand if you are a PopChips fan! I love these little things, especially the BBQ. If you're a fan, as well, you'll love the daily deal going on over at Amazon! They are currently up to 58% off -- more when you use the Subscribe and Save feature. Hurry! Supplies won't last long!